It seems every large corporate has to do something on Facebook these days, with UK mobile operator Orange deciding to launch its People Projects app that encourages people to become part of local community volunteer initiatives. It’s not the only community-focused web site doing the rounds, but the fact that it’s integrated with Facebook rather than sitting on the Internet on its own may mean that it gets picked up and used by Facebookers, who are often accused of being armchair campaigners and protesters. Maybe this will encourage them to get off their butts and actually join in with something in the real world. If altruism isn’t quite enough, once you’ve contacted the project owners and volunteered, you can tell everyone how wonderful you are. Of course it needs people who are running community projects to set them up in the app in the first place. Tools provided include a dedicated project page, promotional tools, virtual rewards for volunteers, task list, events tool and a timeline for keeping goals on track. 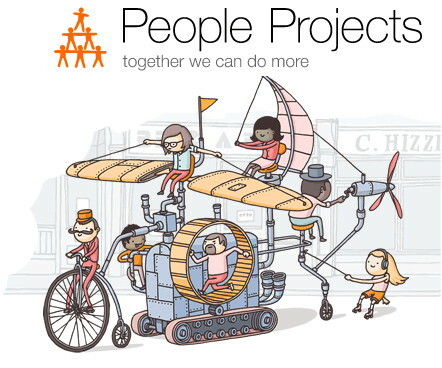 Orange will also highlight up to eight inspiring projects on its own People Projects website. Orange plans to launch a mobile version of the app in due course.